Rainbow Speckles - in bag. 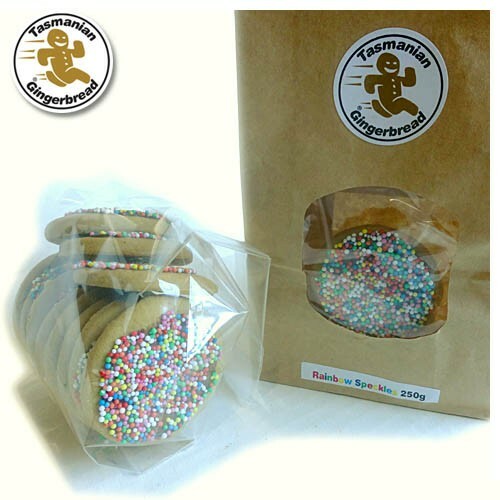 Hundreds and Thousands on Tasmanian Gingerbread! Butter, Milk Chocolate, Vinegar, Baking Soda, Ginger, Cinnamon, 100s & 1000s.